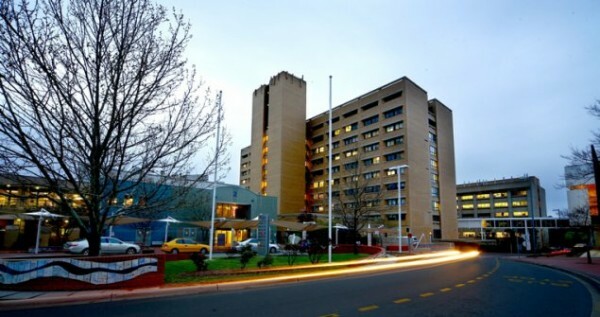 The Canberra Hospital. The numbers of patients using their private health insurance in the ACT’s public hospitals has almost tripled since 2006-7. Photo: Supplied. The number of Canberrans using their private health insurance for treatment in the ACT’s public hospitals has almost tripled since 2006-7, although the number using it for elective surgery remains low despite claims nationally of queue jumping in this area. The Australian Institute of Health and Welfare report Private health insurance patients in Australian hospitals, 2006–07 to 2015–16 shows that in 2006-7, private health insurance funded 4,002 admissions. By 2015-16 this had ballooned to 11,857. As a proportion of overall admissions, 5.3 percent were funded privately in 2006-7, increasing to 11 percent in 2016. The increase since 2014-15 was 14.7 percent, with the average annual increase since 2006-7 being 12.8 percent higher than the national average. In all states and territories, 871,902 patients used their private health insurance in the nation’s public hospitals in 2015-16, up from 382,085 in 2006-7. Since 2014-15 the increase amounts to 7 percent, with an average rise of 9.6 percent a year since 2006-7. Public hospitals have denied claims that they are gaming the system to increase funding. Preliminary figures show that in 2017 there are 230,600 people in the ACT with private health insurance, or 56.1 percent, a decline from highs of 57.4 percent in 2014 and 2015. Nationally 46 percent of Australians have private insurance down from a high in 2015 of 47.3 percent. In 2015-16, only 224 ACT elective surgery patients in the Territory’s public hospitals had private insurance out of a total of 12,612. Nationally the figure was 58,837 out of a total of 739,911. In NSW, 19,875 out of 213,869 were privately insured. Having private health insurance proved a quicker route to the operating table in all states and territories. Nationally, it almost halved the waiting period, with private patients spending on average 20 days in the queue compared with 42 for public patients. Private patients who waited greater than 365 days for surgery was only 0.8 percent of all elective surgery patients compared with 2 percent for public patients and 4 percent for other patients. In the ACT, the number of private emergency surgery patients was 387 out of 6,487. Of 36,255 overall emergency admissions, 3,235 were privately insured, with the non-emergency figures being 33,964 and 5,961. In 2015-16, 224 mothers used their private insurance giving birth in ACT hospitals, out of a total of 5,286. Nationally, 17,728 mothers used their private insurance to give birth in public hospitals out of a total of 233,788. Nationally, out of 63,001 mothers who gave birth by caesarean section in public hospitals, 5,662 had private insurance. Those with private health insurance were more likely to have a caesarean birth, with about 32 percent giving birth by caesarean section, compared with 26 percent for publicly funded births. In private hospitals, about 44 percent of privately funded births involved a caesarean section. What has your experience at public hospitals been? Have you used your private insurance for treatment in public hospitals in the ACT? Share your thoughts by commenting below.